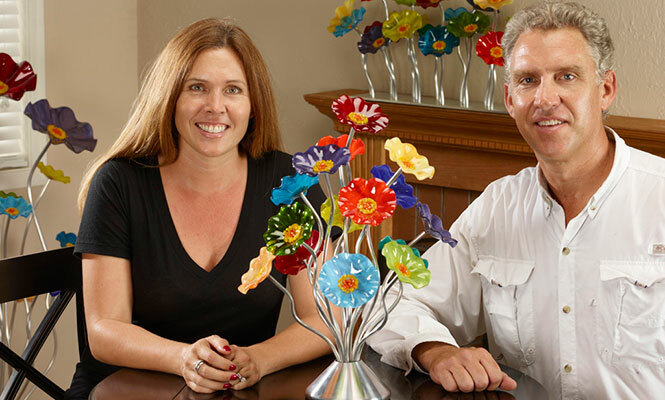 Like all of our work the 5 flower bouquet comes with removable flowers allowing for complete customization. Below find our most popular color combinations. 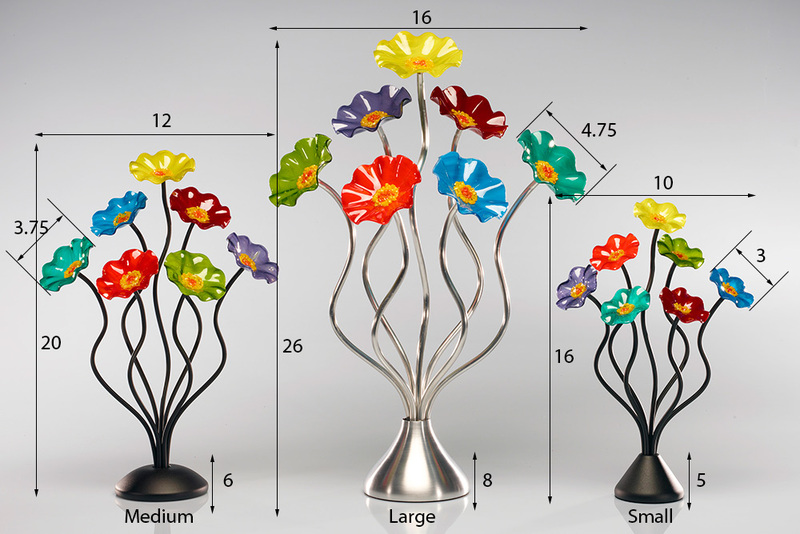 Please select your favorite color combination to be displayed on your table top glass flower bouquet then simply add to cart. 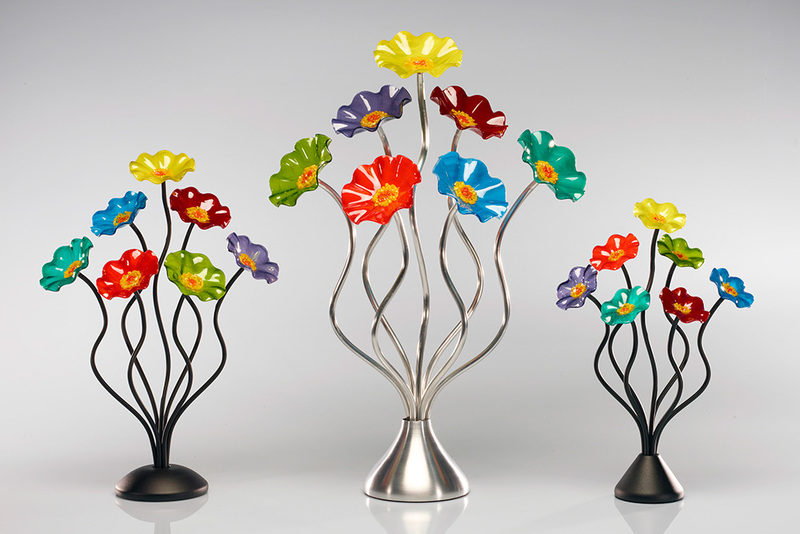 Your bouquet will be shipped with the stem color and color combination of your choice below.